A registered contact lens optician and a Certified Ophthalmic Technician (COT). 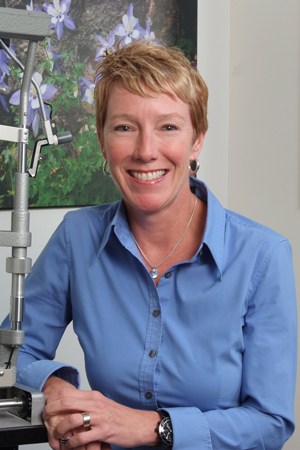 Ms. Shaw has over 20 years of experience in providing great patient care in the field of ophthalmology. Ms. Shaw specializes in all aspects of contact lens fitting, including the latest in bifocal contact lenses, astigmatic contacts, keratoconus and post refractive surgery lenses. She is certified by the National Contact Lens Examiners and the Joint Commission for Allied Health Personnel in Ophthalmology. When not at the office helping people see better with their contacts, Claire enjoys running and cycling and playing with her two Great Danes.